The emergency services involved in the aftermath of a horror crash in Sheffield in which four people died have been praised for their efforts. Two men, a woman and a 16-month-old child died in a collision on Main Road, Darnall, on Friday night. Three others were seriously injured in the smash. Adnan Ashraf, aged 35, died along with his baby son, Mohammed Osman Mustafa Bin Adnan and friends Vlasta Dunova, 41 and Miroslav Duna, 50. Adnan’s wife and Mohammed's mum, 32-year-old Erika Kroscenova, was injured during the collision and remains in hospital. Vlasta and Miroslav’s daughter, Nikola Dunova, 22 and her three-year-old daughter, Livia Matova, were also seriously injured. Livia remained in a critical condition yesterday. They had just returned to Sheffield from a day trip to London when the Volkswagen Touran they were travelling in was hit by a VW Golf, which was involved in a police pursuit. 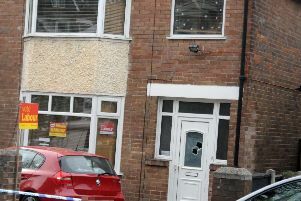 Two men have been charged over the incident and have been remanded in custody ahead of a court hearing next month. Elliott Bower, 18, of Harborough Avenue, Manor, who was allegedly the driver of the Golf, has been charged with four counts of causing death by dangerous driving and three counts of causing serious injury by dangerous driving. Steve Kent, chairman of the South Yorkshire branch of the Police Federation, which represents rank and file officers, said: “After last Fridays terrible incident I would firstly like to pass on our sincere condolences to family and friends of those tragically killed or injured in the collision.